Years ago, Jazz Fest was shot for television broadcast, some of which we saw, mostly not. All that has changed with the entry of AXS TV. Every night when I got home from the Fest, I had the opportunity to relive it, and also to see acts that I couldn’t get to on AXS, available in New Orleans if you have DirecTV. 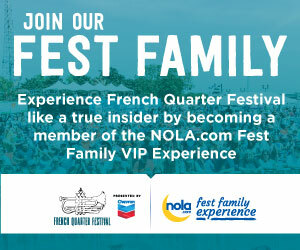 If you’re a Jazz Fest freak, this is the ultimate, and is reason alone to get yourself the service. For example, I opted to catch Walter “Wolfman” Washington yesterday, and missed Hall & Oates. But this morning I got to enjoy the H&O set, plus a part of Taj Mahal and the Black Keys. Wow. Hi-def, reasonably good sound (some, not so, but that’s expected). Have to say, this is one of the better deals Fest organizers have made. Next time, I hope they can get more of the local acts, since most of the shoots seemed to take place at the larger stages. 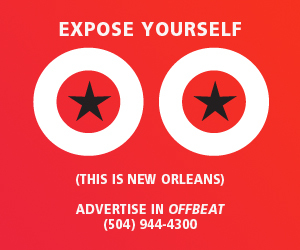 But, overall, a great resource for Jazz Fest lovers. Congrats! Previous PostJazz Fest For The Gimped and Otherwise InfirmNext PostJazz Fest Is Over? Jimmy’s Keeps Trying.